From Pluto, it would be just another star. We all know what the Sun looks like from here on Earth, but what about Mars? Or Jupiter? To answer this question, the good folks over at My Science Academy pulled together a rather good approximation of what the Sun would look like from various planets in our solar system. To avoid any confusion when you’re looking at the image, the little spaceship seen in each frame is irrelevant to the overall point. 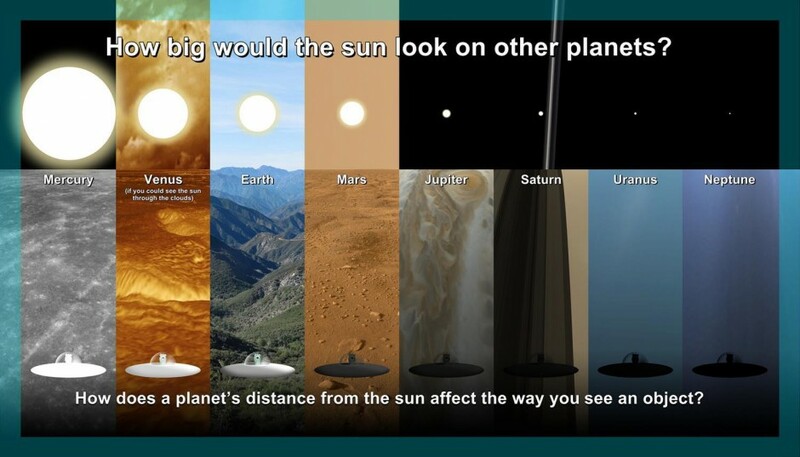 The original designer put it there to help establish how much light the Sun generates on each planet (each comparison was based on the approximate apparent visual magnitude of the Sun for each planet). This image only covers the eight large planets in our solar system, but those are far from the only objects in it. 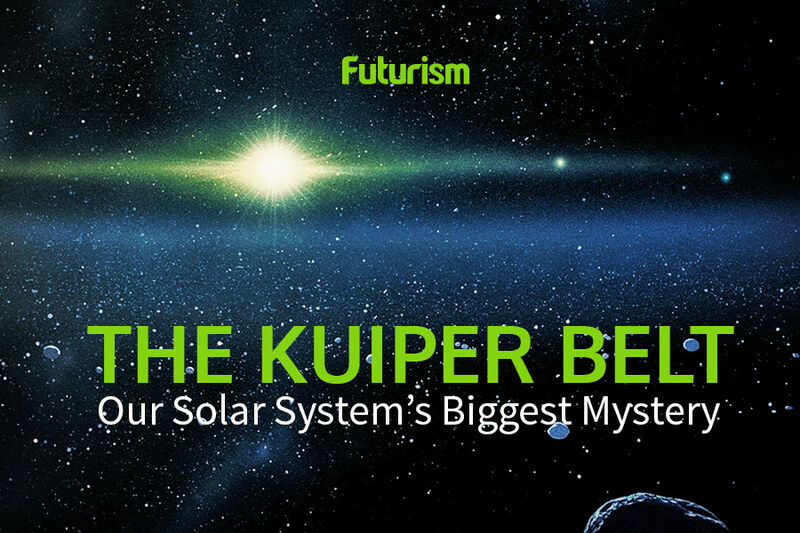 Millions of distant bodies are believed to exist in the Kuiper Belt, a region of icy debris beyond the orbit of the outermost planet, Neptune. Of these Kuiper Belt Objects (KBOs), Ceres, Eris, Makemake, and Haumea are amongst the largest. To understand just how distant KBOs are, let’s speak about one of the larger ones: Pluto. This dwarf planet is about 39 times farther from the Sun than the Earth is. This means that, if you were standing on Pluto, the Sun would appear 1/39 (or 0.026 times) the size it appears here on Earth. Ultimately, this tiny world is an average of 5.91 billion kilometers (3.67 billion miles) away from the Sun. At the closest point in its orbit, it is 4.4 billion kilometers (2.75 billion miles) away, and at the farthest point, it is some 7.29 billion kilometers (4.53 billion miles) away. Those distances seem to vary quite a lot. However, they don’t really factor in all that much in the grand scheme of things as at any of these distances, our Sun would appear to be just another star, albeit an extremely bright one that would hurt your eyes if you looked at it directly. As a side note, since Pluto has such an extremely elliptical orbit, sometimes it crosses into Neptune’s orbit. In other words, sometimes the Sun is actually closer to Pluto than to Neptune. This remains true for about 20 years out of each orbit. Pluto’s total orbit, if you are wondering, is 247.68 Earth years. This 20-year time period may seem pretty insignificant considering the multi-century orbit, but it’s still a cool fact.